Also the measure against ultraviolet rays! <> Don't lose intense heat! It is a measure at the time of going out. <> The measure against heatstroke is back-of-the-head cooling first! It is a measure against ultraviolet rays to a child. <> Sufficient measure against heat for the child who plays absorbedly! Coolig　neck goods! <> I will protect the father who works from heatstroke! Cool handkerchief! Cool motorbike inner, Cool muffler etc. <> It is cool in the measure against heat and event in the interior of a room! I click here to the show window with shopping Ｂａｓｋｅｔ　which a total of about 50 kinds of coolbit series can look through! As for a coolbit, a kind is idea goodsi! It is large activity comfortably about the lingering summer heat also in the office of the measure against ! fatigue from the summer heat, and the measure against power saving! I use the evaporation heat of water natural [ a coolbit ] and safe, and am commercializing bringing about a feeling of 涼冷 to the concept. We named this eco-cooling. 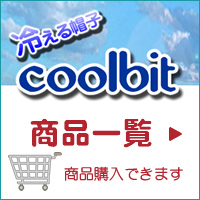 A coolbit is under opening a shop also to Rakuten! ■ Business and the coolbit series for construction are here! Please use for labor safety measures. A material is very soft. If a photograph is clicked, it is detailed explanation of goods. I get cold in 遮熱 reflection and evaporation heat! Run ナーズ to this is the highest! It is "a user's comment are here." The back of the head gets cold. Coolbits are the invention goods which the international patent goods world accepted! The structure which uses the high water absorption fiber of a coolbit and which gets cold acquires a patent!! By the heat island effect of the harmful ultraviolet-rays problem by ozone layer depletion, global warming, or urban areas, corresponding to the rapid increase in heatstroke, etc., in order to pass outdoor more comfortably, I have done research and development in a coolbit. In addition to this, coolbits are many. We make an effort to raise commodity value by a patent in and outside the country, the design right, a trademark, copyright, etc., and are sending clear functionality and quality goods to you. I can perform download of a various catalog and heatstroke measure booklet etc., and request for information. If a photograph is clicked, it is detailed explanation of the product. I go to 販売ぺ-ジ. "The hat coolbit which gets cold"
"flap hat etc. 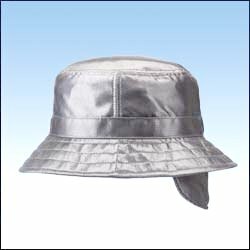 -- I search one shot"
coolbit, a coolbit, and the hat coolbit that gets cold are the registered trademarks which the Sunday Invention gallery manages. I prepared the order sheet in FAX. ■ FAX can also order easily! FAX order blank (I download in a double click) which can be taken out easily I prepared. 1) Print the above-mentioned FAX order blank. 2) I click the photograph of interesting goods. Please carry out contents confirmation on the next screen, and write down necessary information in a FAX order blank. 3) Please carry out FAX to a paper at the telephone number of a statement. being alike -- the following goods -- exhibition!! Six colors, I combine a design and it is various. I am a two-sheet set and it is Not including tax [ of 2600 yen ]. It is 頭寒足熱 to studying for an examination and operation! It is ! exactly under the helmet for motorbikes. I can use also for a bandanna. It is if it is a trouble in the measure against heat! labor boiling safety comfortably -- ! I will protect children from ultraviolet rays! Invention of a hobby hits! The admiration card produced from here! ます with ultraviolet-rays care goods! I disguise myself as the coolbit best of the measure against heatstroke quickly in a cold-packed pack in Cairo in the measure against protection against the cold, and summer in winter! It is winter summer combination best at the 1st place. I warm a jar at the cold spot. Printed matter, such as our catalog, a goods tag, and pasteboard, the illustration in WEB, picture It is allowed to forbid by the Copyright Act to reproduce by other WEB(s) as an operating sales task. Please be careful. - If a photograph and goods Ｎo; are clicked, link to the detailed explanation page of the product. - The mark is a new product of the summer of 2011. A spittle part gets cold. The coolbit has incorporated the function which gets cold in all the lineup. For the future lingering summer heat and the measure against fatigue from the summer heat!! For the measure against picnic ultraviolet rays of autumn!! I keep a head and a neck cool from intense 熱射 under blazing heat. A national outdoor sportsman ground lied extols! Ｎo; CBSPCP82 - (five colors each) They are five colors of GRY from the left to WHT, NVY, BEG, and KHK others. A coolbit and CAP Fishing of spring, summer, and autumn, etc. It is warm in winter. Year-round type A 帽 object gets cold firmly in the bottom and summer, and it is warm in winter. There are also other GRY(s). For the protection from UV of autumn, the children in an athletic meet, outdoor practice, and activity, to winter!! I consider the measure against ultraviolet rays earnestly, and many directions which visit this site are. 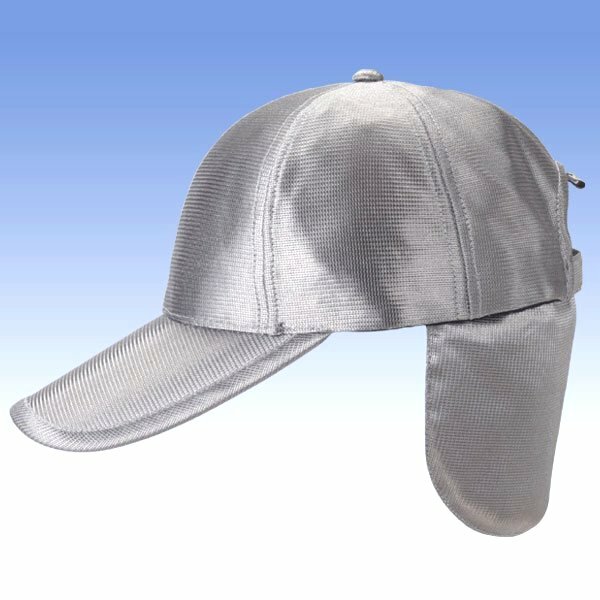 As for patent goods, and the protection from UV and the flap hat with a cooling function, only here coolbit is! - In order not to expose a child's neck outdoors by a northeast and a Kanto within the circle! The needs for the worries to say are growing. Heatstroke Although it is this hat bought for an 8-year-old son for the measure, I carry out the ふん rate cover of the ear, and also intercept the scene included in eyes with a sufficient degree, and, moreover, it is cool... I was very pleasing, and the athletic meet weak has also participated only after it was wearing the hat! I ran to having adhered to the teacher and not having separated by a big sound and direct rays, every year alone by the race, and it was impression at the time of りぬいた. The teacher of charge is also Ur Ur... The teacher also had this hat got interested very much. Not including tax 3200 yen I am attached to a child's hat and a helmet. I click here to convenient shopping カゴ which about 50 kinds of coolbit series can look through! <> TBS "cold broadcast at the market which becomes blunt -- a sash -- " -- here click! By warming and heat island-ization of urban areas, the spot of summer is a measure for a blazing inferno, safety, and health! <> June 23 TBS the market which becomes blunt -- "cold -- a sash -- " -- I was broadcast. <> With the magazine, the coolbit and C tube, and the cool handkerchief were introduced on June 17 "rather than having been vegetables." <> It is SBS television around 17:30 on June 9. 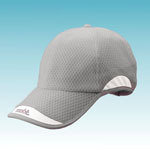 Evening eye "By heatstroke prevention" "Hat W mesh CAP which gets cold" was reported! <> I carried out the coolbit CAP&HAT pamphlet initial public offering in; 2010. <> NHK television Good morning, Japan I am to "the measure against heatstroke" in a street corner information room. 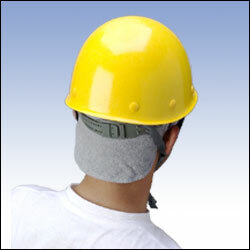 "cold -- a sash (nail sash) -- " -- "helmet comfortable goods" was reported! <> Report introduction of the coolbit neck クーラ was carried out by daily publication ゲンダイ and Yomiuri Shimbun! When coolbit is used, it is a comfortable work and working efficiency rise by millet millet of operation, the lingering summer heat, and the measure against fatigue from the summer heat! You repeat-place an order from people of the track record for ten years, and many as outdoor work and heatstroke measure goods of the spot. - In winter, are used for the measure against 吸汗 of the back of the head by some people during coolbit ビルダー one year from autumn. Usually, I am two sheets and it is 3780 yen. I raise a chilling effect with the 保水 pack + refrigerant of a high water absorption fiber! I use Cairo and it is also for the measure against protection against the cold in winter! I cool jar large 堆 of a neck and 風寒 which manages athletic ability! The exclusive refrigerant of 5 連 cools to the circumference of a high water absorption fiber and a head, and a size き目 gell refrigerant cools on the back. The main part of a fan is only 75g. Battery cases are four sets of size AA batteries. Even if it becomes dirty for the measure against heat from sweat, I wash every day and can use for it cleanly repeatedly. It is with cooling Bud to neck back. I can wind around a frame and a head! I am two pieces and it is one set. 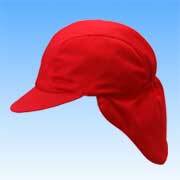 "main -- when -- as -- television"
Hat which the 林家 Shozo teacher was wearing and which gets cold Coolbit hat! 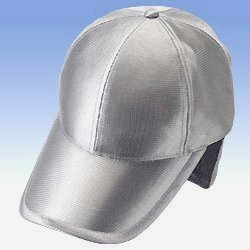 Ultralight, titanium heat reflection, a cooling function, the high-class hat of the back of the head!! Here is explaining in detail. It is a campaign price specially. I sold out this product. The structure which gets cold is United States Patent. It is cool for a frame and a face at spittle 広 in summer! It is for the measure against ultraviolet rays in autumn and winter! The face to which spittle gets cold with the special structure of a spittle part is cool! The back of the head also gets cold!! ■ The world's first new product which only coolbit realized!! ■ Get cold in a spittle part and back cover double!! If a photograph and goods Ｎo; are clicked, I link to the detailed explanation page of the product. The influence of global warming and the climate change of summer is intense, the heat island effect etc. are added, becoming [ many ] about 35 temperature are also seen and its environmental severity is increasing every year. Under such circumstances, the device which I pass comfortably on the outdoors of summer also including the watch to heatstroke is called for increasingly. It is large popularity at the measure against heat of the office by power saving! I will start with the ability to do. It is ! exactly to the cool biz for global warming prevention and energy saving. Moreover on the neck of cool biz, it is cool at evaporation heat!! I do not sweat in the office of 28 ℃ of energy-saving air conditionings, either! Cooling putt is included in the reverse side. (1) Dip in water, (2) Wrap in and wind around (3) head. 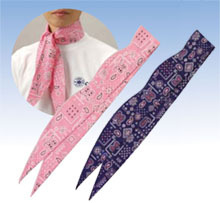 I disguise myself as the cool biz necktie of summer quickly. 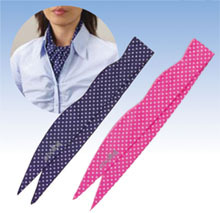 They are request goods of the measure against heatstroke at the time of high-school baseball practice. - the object for baseball practice -- I was born by the request Very much worried about the heatstroke in a ground by the flap shorter coolbit, the object for baseballs, and warming. It is a present of a limited time offer! It is the traffic safety in サット volume つ気 and the night to an arm!! If you place an order now When early, in three days, I have shipped goods at the latest on the next day. When stock of the goods of an order is lost, I am contacting you within two days. * I mail-order-make at least one point (a piece or a set) all over the country. In the case of an order by FAX I download a FAX order form paper (Acrobat Reader). I have refused unapproved reproduction by other WEB(s) of the picture in this WEB site, an illustration, and an explanatory note by the Copyright Act. ■ Electronic catalog ■ request for information Related guidance I click コチラ. and coolbit series were introduced as "cool biz" goods. We have world widemany patents and Tradmark. We seek companies to distribute "coolbit" throughout the world. E-mail； Please write "coolbit" in the subject heading of yourE-mail.